Limited to take over the company. This was contained in a letter filled with the NSE. 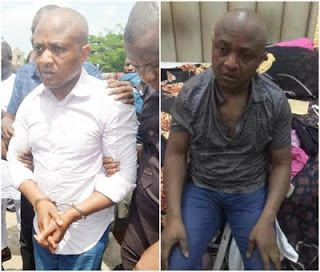 Both banks were said to have served Evans Medical with an ex-parte order of the Federal High Court dated July 4, 2017 granting them the right to take over the company’s assets used as collateral against facilities granted to the company by the bankers due to loan default. According to the letter, a receiver manager has also been appointed and has taken over the assets of the company. The firm was quoted to have said, “Evans Medical would like to announce that the company’s bankers (Skye Bank Plc and First Bank of Nigeria Limited) have served the company with an ex-parte order of the Federal High Court dated 4th July, 2017 granting them the right to take over the company’s assets used as collateral against facilities granted to the company by the bankers due to loan default. The board of Evans Medical however said it had begun discussions with the two lenders with a view to arriving at an amicable resolution of the matter. “We shall keep you informed accordingly and we appreciate your understanding in this matter,” it assured its stakeholders.